Frene bene, eh? The booster and the calipers. Is there a way to check the booster? Yes. I have a single circuit system, but the procedure is the same. With the engine off, press the brake pedal firmly to the floor. Then start the engine, if the pedal moves further down the booster is working. You may also proceed like this. Turn on the engine but don't press the brake pedal. Turn off the engine and press the pedal several times. It should make a "phssst" some times and then the pedal will be very hard to press, probably just a little until stop. If so, you booster is working. If the booster is bad, is it rebuildable? Are kits available? 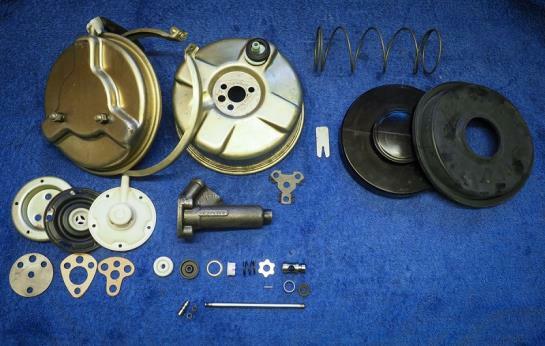 The casting 3232-656C is for the Lockheed servo fitted as original equipment to the 1750 Berlina GT Veloce & Spider Veloce, listed as January 1968 onwards. 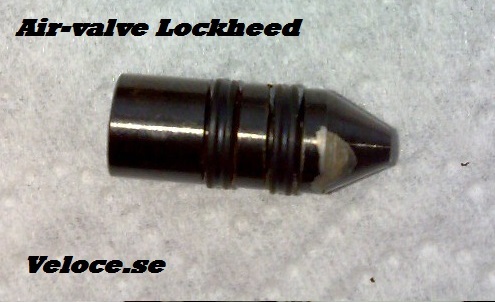 The number is stamped in the casting, the other side says Lockheed. 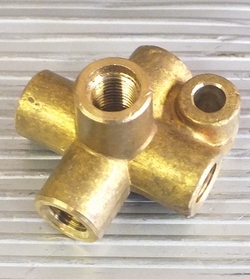 When ordering, remember that there are two kinds of the air-valve. Some refer to this as the reaction piston. You should have the one with two O-rings. The 5/18 is the proper one. I had some problems with my booster (single circuit) a couple of years ago. I dismantled the whole thing to see if the "rubber ball" was intact. It was, but the small valve piston inside was stuck. I used the ATE brake booster grease on the piston and that solved that problem. I am only driving my Spider in the summer, so the brake fluid sometimes adopts water. Please remember, when working on the brake system, always double-double check everything before taking off. Yes, try the www.highwoodalfa.com they are in Great Britain, The same booster was used on Rovers and some Jaguar models in the -60's. See you local junk-yard. That's recycling! The front brakes of the 105-series were also used by other car manufacturers. Here are a few I have found. Mercedes Benz 240 Diesel 74-76 Mercedes Benz 230 / 4 cyl Sedan 68 -76 Mercedes Benz 200 Sedan 68 -76 Mercedes Benz 350 SLC 71 - 72 Volkswagen Transport 70 -72. The rear ATE calipers from a SAAB 900 will fit the 105-series Alfa Romeo. The beams and reflectors from a Volvo 140 made 1966 to 1972 will fit the Bertone cars. Same with the beams from a BMW and VW Golf that are OK for the Alfetta range. Finally, the tie-rod ends are the same on a Merceds from the -70's. Note that they are Euro versions. I do not know about the US market, bu assume they are the same. 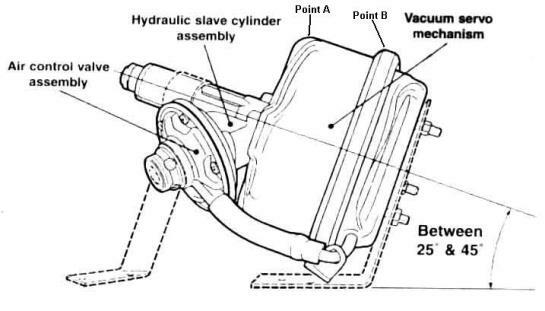 The brakes system has a junction with five ways mounted on the firewall, carb side. Look down and you will see it. 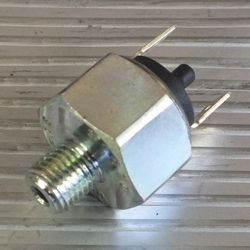 Application: Land Rover Series 2 and 2A with hydraulic brake light switch. Note that you will also need a brake light switch, the switch comes in two different threadings however. 3/8 is the most common. You will have to check before ordering from your supplier. 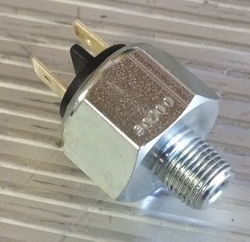 Application: 279412 reproduction 5 way connector. 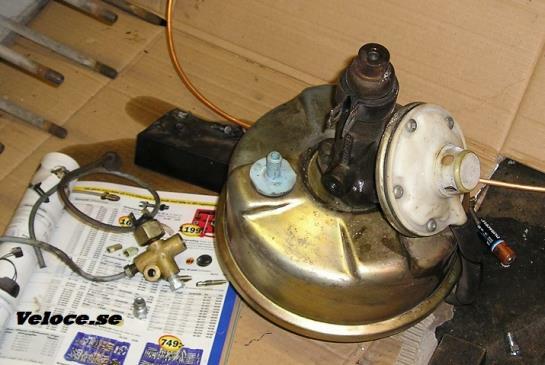 Thanx to Malcolm van Coller from Johannesburg in South Africa who has some ideas about the brakes. I was reading with interest your various tips, especially those regarding heels that fit the 105 series. We have been using Ford and Audi wheels to race on for some time, but Volvo just recently being re-introduced here after a 25 year absence, escaped us. We also have an interesting but very easy and effective mod on the 105-series, namely big BIG 4 pot calipers on the front brakes that just bolt on. 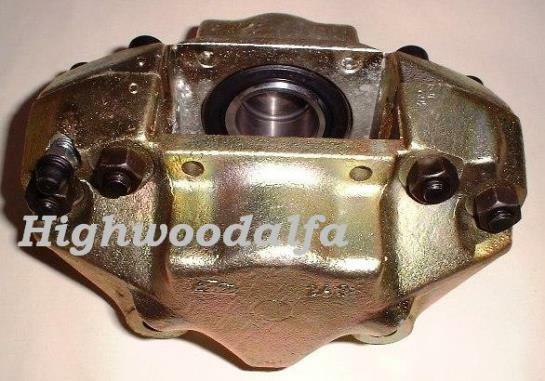 For this we get the ATE calipers from the upper end 3 or 5 series BMW or of the 7 series. These come in two variations, one type with one input line, and another with two inputs. 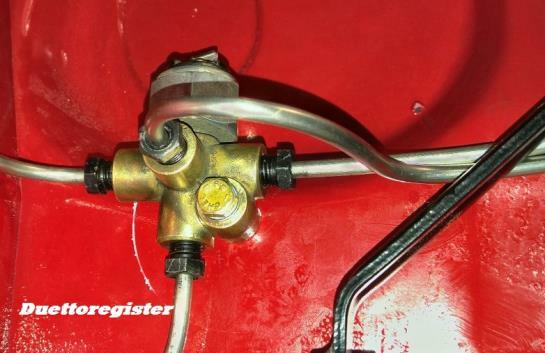 Any of these will do, all you have to do on the caliper with two inputs is to use a T piece to split in single pipe on the front brakes on the Alfa into two. But, If you're fitting a monster caliper from a car that used ventilated discs, why not put a ventilated disc on the Alfa? You will also have to split the caliper and remove the spacer, so that the caliper will fit onto the solid disc of the Alfa, as apposed to the wider ventilated disc off the BMW. You will also find that you will have to use shorter bolts to hold the caliper's two halves together, as the original ones will be too long with the spacer removed. UNFORTUNATELY this "BOLT-ON" modification will only work on the later (possibly 1969 onwards) 105 series cars, i.e. those that take the bigger front pad (ATE 112). On the cars with the older/smaller calipers/pads, you will find that the hole spacing of the calipers are too close together to take the ATE BMW caliper. There is another alternative for the 67-68 cars with Ate. You can fit the Brembo caliper of the GTV-6 / Milano / 75, which has the smaller bolt spacing. You do have to fit ventilated discs which are custom made, but the combination works quite well. Pre-67 cars with disc brakes tend to have to update the whole front hub to fit a better caliper.